Posted by Sam Smith on Saturday, December 3rd, 2011 at 3:58pm. Newport Beach residents have always known Balboa Island to be a great place to live. The main & little island of Newport Beach is dominated by single family homes and commercial buildings. The community dates back to the early 1900's as one of the first communities built here in Newport Beach with many of the homes in the Cape Cod, Mediterranean and Spanish architectural styles. 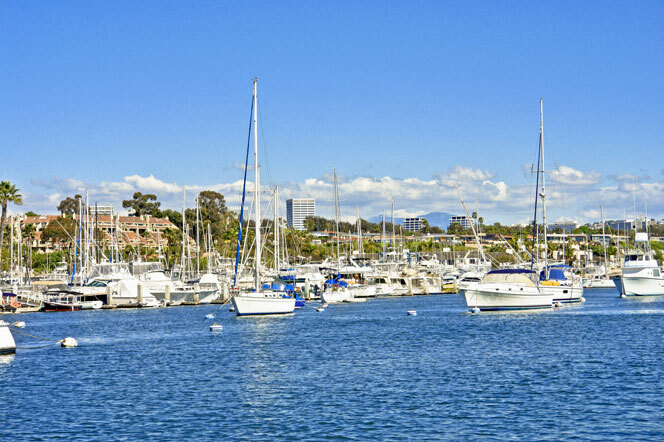 If you are looking for a lower maintenance condo then you will be surprised to learn that you can find waterfront Newport Bay view condos in the surrounding area of Balboa Island. The community of Bayside Cove is a great example of condos that are just across the bridge from Balboa Island and offer great waterfront and Balboa Island views. If you are new to California then you may have sticker shock since many of the condos sell well above the million dollar mark. Keep in mind that Newport Beach is the most expensive real estate market in the country so owning a piece of paradise doesn't come cheap. You should keep an eye out for foreclosure and short sale properties as these will typically be slightly priced below market value. There are also many wonderful waterfront condos available in other parts of Newport Beach as well. If you have any questions feel free to call or email us today. We specialize in Newport Beach Real Estate and look to assisting you!